A compact circular saw that is practical, nonetheless. It is a top-notch unit that performs efficiently with the hardest wood, at any angle, while still being quite easy to use. With its 5.5″ blade and a comfortable grip, you are highly unlikely to come across any problems while using it. No matter if you are a pro or just starting out, this cordless unit will provide you with the power you need, but it stills underperforms when compared to most corded saws. Since it is light and highly portable, you can take it wherever you want. It is easy to adjust and great for minor work around the house, as well as more demanding tasks. This affordable unit is one of the best budget-friendly circular saws on the market. The P504G is an exceptional tool that performs better than most other circular saws. The P5405 is a great unit to have in one’s collection. If you have ever doubted the capabilities of cordless circular saws in general, this Ryobi 1/2″ Circular saw will likely change your mind. It is quite light, comfortable and easy to use. The depth and bevel adjustment is so easy to read, it makes the job go smoothly. The max. cutting depth is 1-9/16 inches at zero degrees and 1-1/8 inches at a right angle. It is more than great for cutting 0.25-inch plywood, drawer bottoms, etc. The saw stays on the center and leaves a clean edge when the 18 teeth blade is used. The ZP04G features an easy-to-use system -it is as simple as pulling a trigger. The unit is equipped with a cut scale that allows you to conveniently measure the precise cut you want to make. It is quite light and compact –you can carry it wherever you want. On top of that, you can adjust the bevel up to 50°. This allows you to make different types of cuts more efficiently, be they in depth or in length. Thanks to the excellent overgrip, it is possible to comfortably hold the unit for more tricky angles. The blade is positioned on the left side, thus allowing for better oversight of the work surface. There is also a laser guide that is of great help when you need to cut a straight line. The unit has a built-in lock-off that prevents accidental start-ups. The handle is molded with notched-rubber, making it easy to maneuver, even when things get a bit slippery. The unit comes with an exquisite carbide-tipped blade, but, if you would like, you can easily replace it with any 5 1/2″ blade you get your hands on. The unit is equipped with an onboard wrench that allows you to effortlessly replace the blades. However, the carbide-tipped blade is durable and ought to last you a while, so there will probably be no need to replace it in the foreseeable future. Its design also features a scale that measures 4″ to the left and 1″ to the right. Powered by an 18V Li-Ion battery, the saw runs at 4200 RPM max. It cuts through plywood and pine with ease. The 18-teeth blade always stays on center and leaves a clean edge behind that requires minimum sanding. The P504 is ideal for cutting softwoods and thin hardwoods. Unfortunately, it doesn’t come with a battery, but it is compatible with all batteries from Ryobi’s 18V One+ family. The same type of battery powers all of Ryobi’s powertools, so if you are going to buy one, it might be good to consider buying another Ryobi unit. When used with the saw, the fade-free,18V One+ Li-Ion battery holds a charge four times longer. The Ryobi ZRP504G has almost everything you would want to see in a circular saw. For its size and low price, it is very versatile. It is excellent for around-the-house work as well as use in a professional environment. Its portability is highly commendable. The light weight and compact design make it ready to be used at any time. The numerous options and adjustments will make it great for any task a hobbyist might put it through. The durable, high-quality carbide-tipped blade is a pleasant surprise, as one would not expect to get it with such an inexpensive unit. The ergonomic design is absolutely brilliant. It allows you to use the unit with high precision and accuracy, for a prolonged period, without getting tired. As it is is the case with most single tool Ryobi deals, there is no battery included. If you don’t own one yet, you’ll have to go through the hassle of ordering one separately. It doesn’t cost much, and shouldn’t be a deal breaker, but it is annoying to have to wait for the battery to arrive as well, in order to put the unit to the test. The power this tool provides is sufficient for most jobs, but it is under the average of 4600 RPM that most other circular saws have. 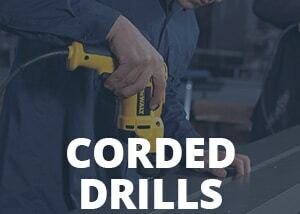 Even though it is a very versatile tool -for some jobs, you’ll have to go with a corded unit. The Ryobi ZRP504g is a versatile circular saw that doesn’t cost much, despite its great build. Although not exactly flawless, it can always be relied on when there is an unexpected home-repair to take care off. It is not as powerful as a corded unit, and a lot of other cordless circular saws, but it is precise and easy to use. If you are starting out as a DIYer, or looking to expand your jobsite collection, going with the ZRP504g is certainly no mistake. This affordable unit is excellent for quick cuts. It won’t replace your corded unit, but adding it to your collection will make you prepared for any situation.